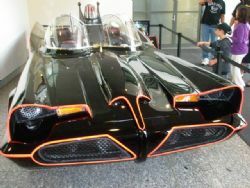 Walking through the front door the first thing that caught my eye was a Batmobile similar to the one from the original TV show. As a kid I had a Corgi model of one of these and it took me about three hours to lose all the rockets, but that aside it was one of my favourite model cars for many years. I can’t even start to comprehend how George Barris of Barris Kustom City created this car in just three weeks from a concept car called the Lincoln Futura. In October 1965 this car was finished and television history was made. It seems that as the years pass the quality of elite show cars keep getting higher. Some of the dollar build figures I heard makes this a very deep pocket pastime and based on what I saw I am not sure a budget of half a million dollars would necessarily win a trophy at this show. The quality is beyond top shelf and there are plenty of cars too. This year they invited back past winners and there were numerous debutantes to have the crowd salivating over the weekend. Overall I thought the show was better than last year and they had a good mix of stunning rods, customs and bikes and a far better showing from car clubs than in the previous few years. Camaros, Fords, Corvettes, Mustangs, GT’s and other clubs had a good representation of quality classics and the organisers also threw in the doof doof crowd for some audio madness. 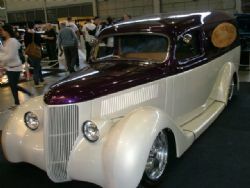 A number of ten grand rice cookers, sporting a fifteen grand stereo, twenty grand interior and thirty grand spray job were present as well as a lot more vendors flogging everything from custom clothing, books, models, parts to huge blinged wheels. As you walked through into the second hall you couldn’t miss the 59 Wild Cad. This has been around for a while in various states and I saw this out at Joscar when they were prepping it for paint. The finished car looks awesome and it got a lot of attention from the punters filing past. The paint on the car is unbelievable and I noted it was sprayed in PPG, which may have been a little contentious given the organisers are forever promoting their own House of Kolor brand. I wonder what happened at trophy time? 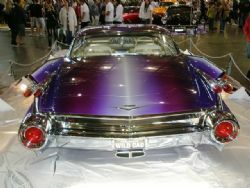 I am not normally a caddie fan but up the back in the Shannons auction area a 1966 Cadillac Eldorado convertible caught my eye, partly due to its pristine condition and the guiding price – twenty four to twenty eight grand. The wife was safe as it wouldn’t fit in my garage but I said to my mate that if it sold in that range it was a drop dead bargain and I expected it would go well over thirty grand. 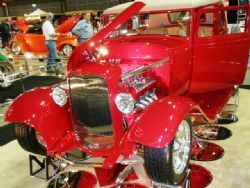 The bidding was fast and furious and the successful bidder snared it at a whisker over thirty three grand – still a bargain and a whole lotta car for the money. Always something for everyone, lots to look at, plenty of glams - I wonder what will be on offer next year?